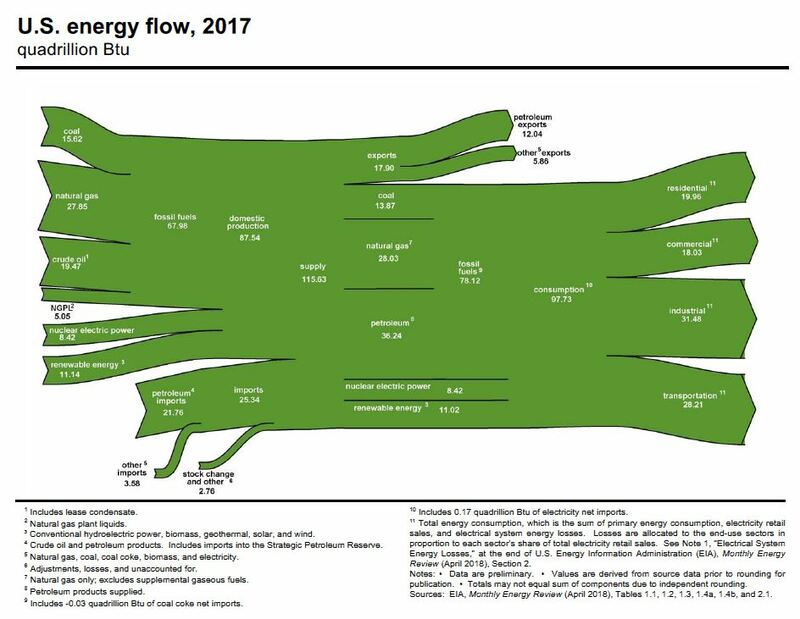 I love these energy flow diagrams from the Energy Information Administration. Below is the one for total energy sources and uses. EIA has others for crude oil, natural gas, coal and electricity. Click to enlarge. 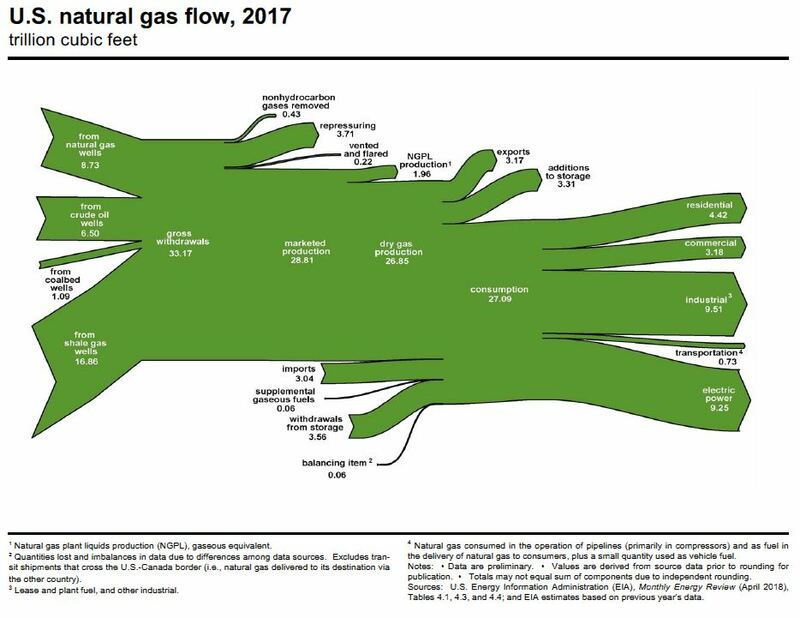 Here’s the flow chart for natural gas. Note how much US gas comes from shale gas wells and oil wells.